Do you have a hen or stag night coming up? If so, then you may want to consider party bus hire. This fantastic club on wheels will help you to get to and from your chosen clubs and bars in true style. It promises to help you to make the most of your last night of freedom, ensuring you enjoy a fun-filled, safe night on the town. Here, you’ll discover why our exclusive party bus has become so popular with hen and stag parties. One of the great things about hiring the party bus is that you don't even have to leave the bus if you don't want to. With an enormous audio system, 8 LCD TVs, a dance pole and a fully stocked bar; everything that you could possibly need is right there. There’s LED lighting inside this luxury bus too, ensuring you get to enjoy a true club experience. You can either dance and party the night away in the confines of the bus or take it on a tour around the town. Whatever you choose to do – you can guarantee you’ll have the time of your life doing it. . When you book a hen or stag party package with us, we provide you with a free bottle of champagne and soft drinks if you need/prefer them. You will feel like an A-list celebrity as you pull up outside your chosen venue. It doesn't matter what your plans, the party bus will help you to make the most of them. You can either take advantage of our set hen and stag party package deals, or we can tailor one to suit you. Simply give us a call to discuss your requirements and our friendly team will do their best to exceed your expectations. 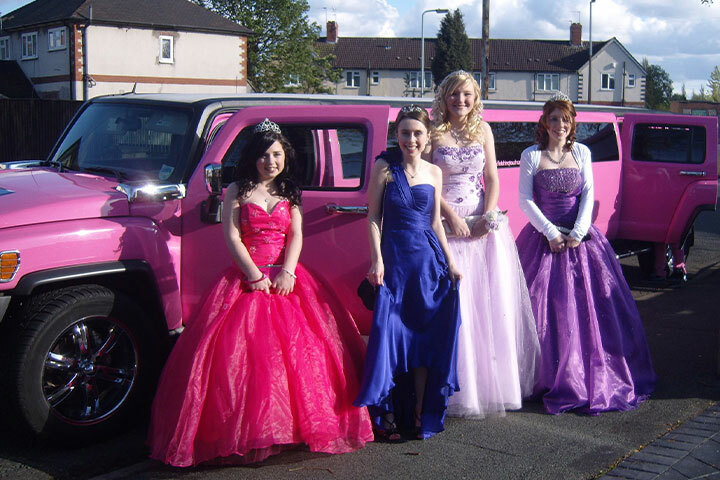 Our party bus is most affordable when it’s hired for hen and stag parties. This is because the cost can be spread between the group. When it’s split between potentially 16 people, the cost of hiring this luxury limo bus becomes extremely affordable. That’s not the only way you could save either. You can also take advantage of our hire packages and save money by booking early. You’ll notice our party bus hire costs are cheaper during off-peak times. So, rather than booking at the weekend, you could save a significant amount of money by booking your hen or stag party car hire during the week. If you are interested in hiring the party bus for your hen or stag party, we recommend booking it as soon as possible. It’s by far one of our most popular hire vehicles and this means it gets booked up extremely quickly. This is especially true during peak wedding season! So, if you know when your stag or hen party is going to be, book the party bus today to avoid disappointment. Don’t forget, we also have a range of other luxury hire vehicles in our fleet. So, if the party bus isn’t right for you, why not take a look at our other hire cars and limousines?